Home » Uncategorized » Acupuncture now at Renew! We are so very excited to be offering Acupuncture at Renew Massage Studio, Wash Park, Denver with our Licensed Acupuncturist and Massage Therapist, Jamaica Dolinksy, LMT, LAc, Dipl Ac. Acupuncture is the gentle insertion of very fine needles into specific points on the body. This process stimulates movement of energy within the body, allowing natural healing to take place, and is a way to unblock or influence chi and help it flow back into balance. • Treating existing illnesses and injuries. • Preventing both recurrence of illnesses and new illness. Now offering: 75 min initial acupuncture consultation for $85. Regularly $100. The initial consultation will include a full health history discussion, health goals, and an initial acupuncture treatment. Please be sure to fill out all paperwork before your session. We are also offering Acupuncture/ Massage Integrative Sessions. No initial consultation needed. Combining the benefits of massage and acupuncture together, this can be an extremely beneficial way to address your trouble areas. 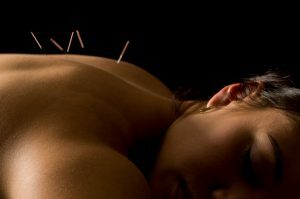 The session begins with a massage focusing on the part of your body that is holding tension and then is followed by the insertion of acupuncture needles into the specific points. The main focus will concentrate on the “Ashi” points, or pain points, and will further be balanced by corresponding acupuncture protocol to your specific condition.